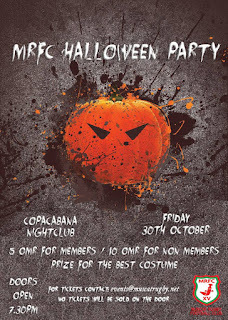 Last year I went to a Halloween party thrown by the MRFC at the Copacabana club in the Grand Hyatt. Simply put it was one of the best Halloween parties I've ever attended anywhere, there must have been over 300 people there, and I counted less than 5 people who were not in some sort of costume. It was great, there were so many people who'd all bought into the Halloween thing and for the guy that won the best-dressed costume, that was a pretty impressive Transformers outfit! The great news is that they're doing it again! 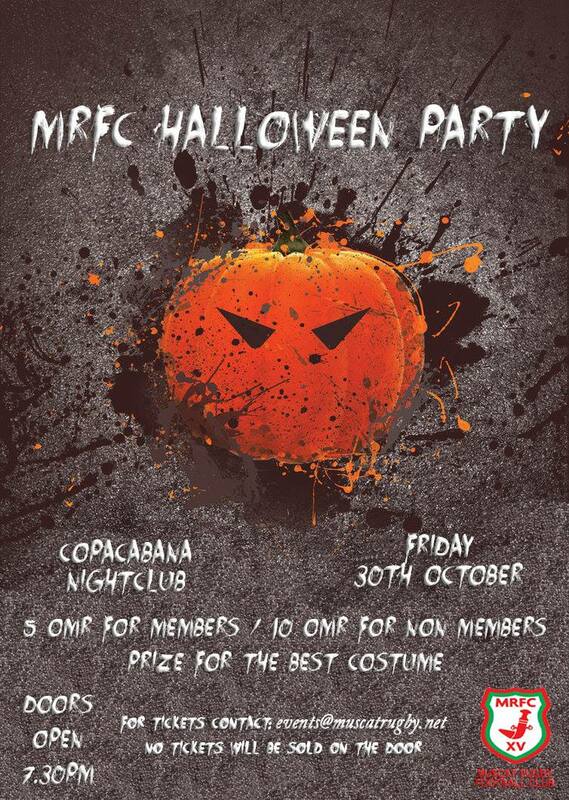 The last Friday of this month, 30th October, the fright night returns once more at the Copa. Tickets are RO 5 for MRFC members, RO 10 for non-members. This will be a private party (just like it was last year) and there will be no tickets sold on the door. A lot of people were turned away last year because of this. ROP rules I'm told. To get your tickets, email events@muscatrugby.net. There is a Facebook event page here with more details and information. I highly recommend going to this party! If you haven't signed up to the MRFC yet, you might want to head over to their website to check out their growing list of discount partners (35% off on shipping with DHL anyone?!). You can fill out your application online and pay when you pick up your cards. Membership is RO 50 for a year or RO 100 for a family - 2 adults and up to 3 kids under 16.